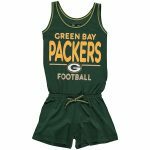 Show off your pride for past and present Green Bay Packers athletes alike when you sport this Brett Favre Replica Retired Player jersey from Mitchell & Ness. 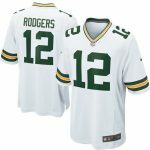 Its signature squad colors and authentic design will make this piece an appropriate choice anytime you hit the stadium to root for your squad. 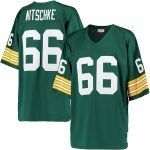 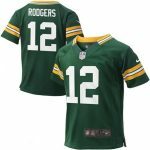 You’ll definitely stand out in a group of Green Bay Packers supporters with the bold Brett Favre graphics on this jersey.